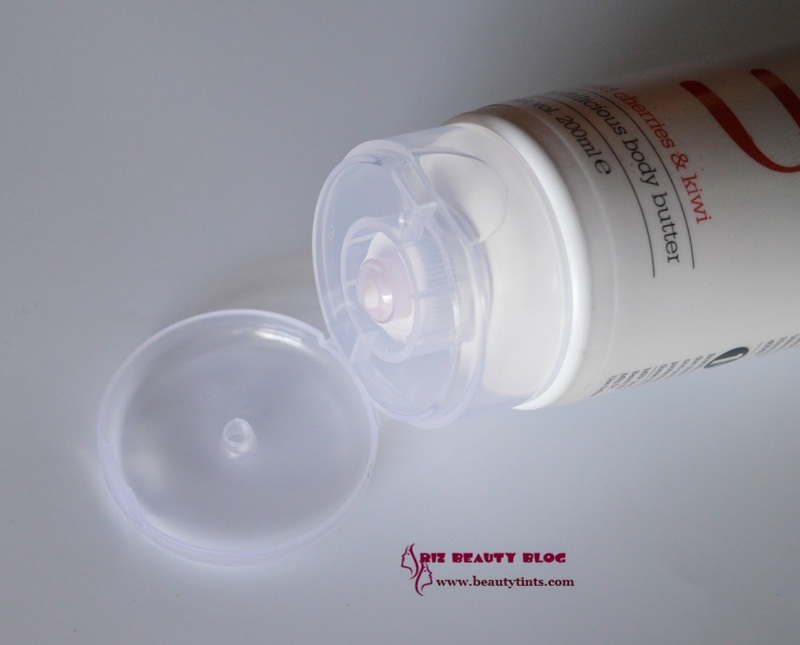 Sriz Beauty Blog: Plum Wild Cherries & Kiwi Softilicious Body Butter Review!!! 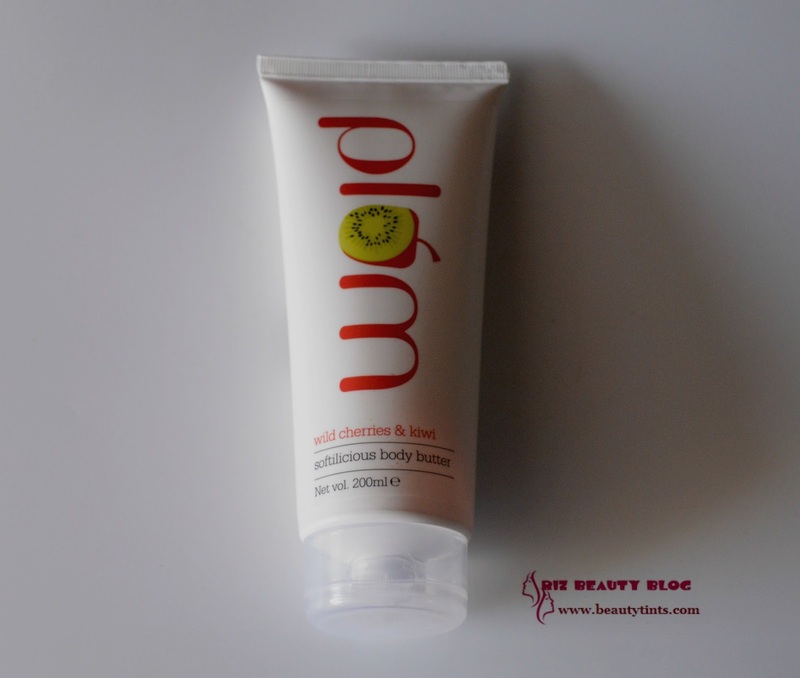 Plum Wild Cherries & Kiwi Softilicious Body Butter Review!!! 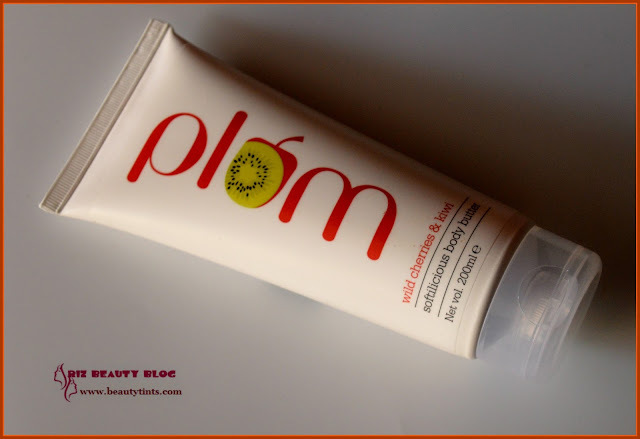 Today I am reviewing a Wonderful Body Butter from Plum,which is their Wild Cherries & Kiwi Body Butter,which is launched recently.I was instantly attracted when I first heard of this, as I love both cherries and kiwis a lot and their combination seemed very new and fresh!!! Color and Texture : This is a light pink colored soft body butter. What the product Claims :Deeply moisturising, temptingly yummilicious butter that just melts into your skin! Packed with the awesomeness of shea butter, wild cherry fruit distillate and kiwi seed oil. With a fragrance that's right off a cherry orchard! ♥ Absorbs quickly, with no residual greasiness. Availability : Available in few online stores .You can buy it from here. Directions for Use : It's best to use body butter right after a shower - the moisture gets sealed in.But feel free to lather on the goodness any time to keep dryness away! 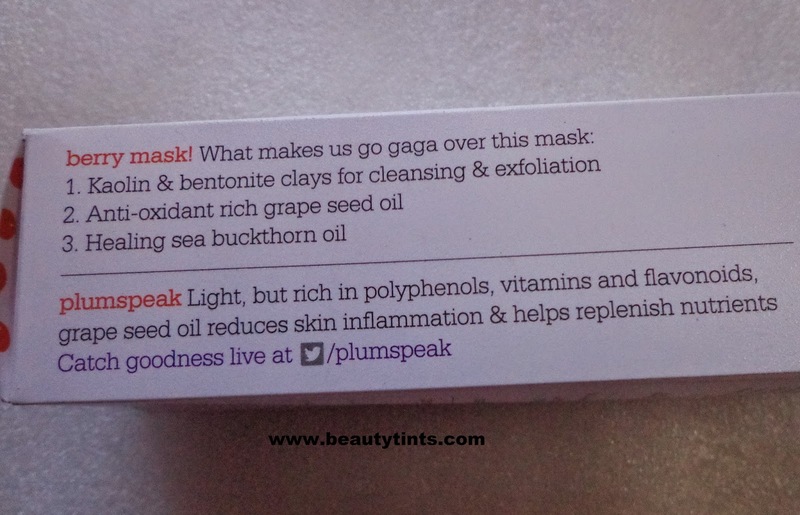 My Views On the Product : I love most of the plum products which I have used so far and their Aloe Gentle Cleansing lotion is my all time favorite one and I swear by it.I also repurchased their Grape seed & Sea buck thorn Renaissance face mask and Green Tea Clear Face mask recently,because they all work wonderfully.Coming to this body butter,this is an amazing one which smells absolutely delightful with the mixed fruity fragrance.It comes in a travel friendly sturdy tube with a flip cap. It is a light pink colored one with a consistency between a body lotion and a body butter.It is creamy and spreads super easily and gets absorbed well into the skin with light massaging and doesn't feel heavy or sticky on the skin.The fragrance lingers around for some time.It hydrates the skin for a very long time and it makes the skin extremely smooth and soft.On continuous usage it reduces the dry patches.This is enriched with the goodness of Shea butter,wild cherries,Kiwi seed oil,which helps in hydrating the skin thoroughly and making it smooth and supple.It is free from Parabens and other harmful ingredients. It is against animal testing.It is a bit pricey but it gets justified with its effectiveness!!! 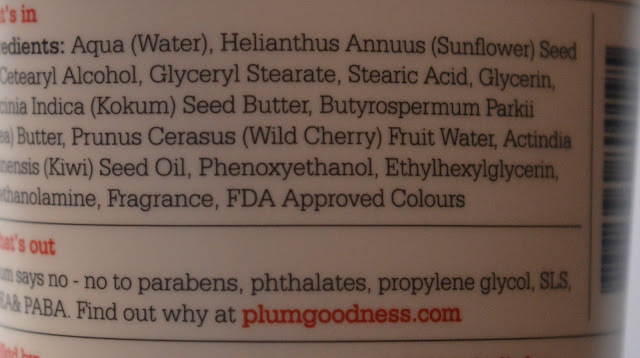 Final Conclusion about Plum Wild Cherries & Kiwi Softilicious Body Butter: This is an amazing body butter with the goodness of fruits,which hydrates the skin thoroughly making it soft and supple.